It seems that some skiers and even pros don't really understand the essence of modern ski technique and can't see what is going on at the highest levels of the sport - one of the contentious issues is sometimes that of being low in transition, with some suggesting that there is no such thing! 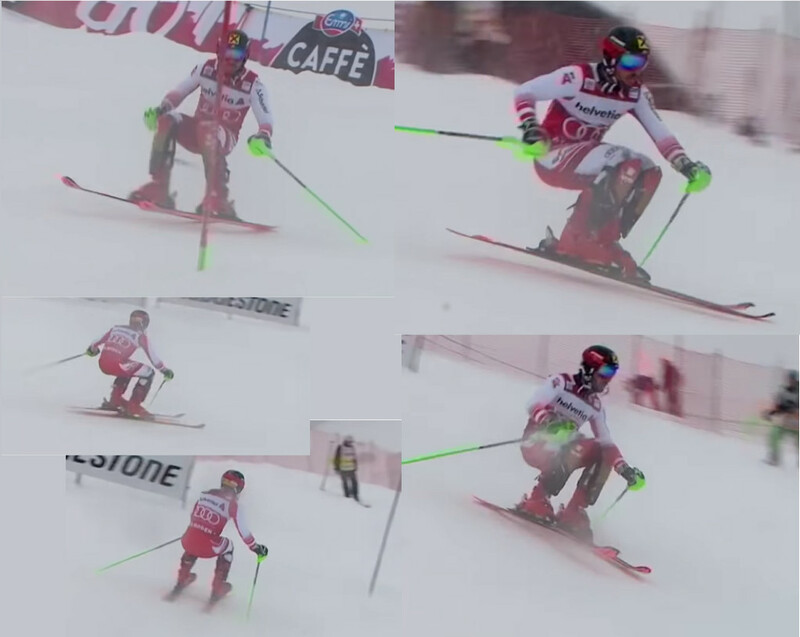 Although this is the "normal" in all great skiing, as we'll see, it's not really about who's the lowest in transition specifically, but about the efficient and effective movements which often result in a low position in transition! Read on! Do you think he's tall in transition? Hmm! If you think so, you might need better goggles! Did this blow your mind? If so, then you need to get a membership here, to read about the serious current technique. It's not even a question of what they're doing to get here - we'll cover that just below - the more interesting question is: what are they doing to make this work ?!? Were they always this low? So, what's going on? It is not a function of them doing this just for the sake of being low in transition! It just an efficient transition: they are simply flexing to release or relaxing to release. There is a lot on that topic on this website, including the Flexing workout session and more! 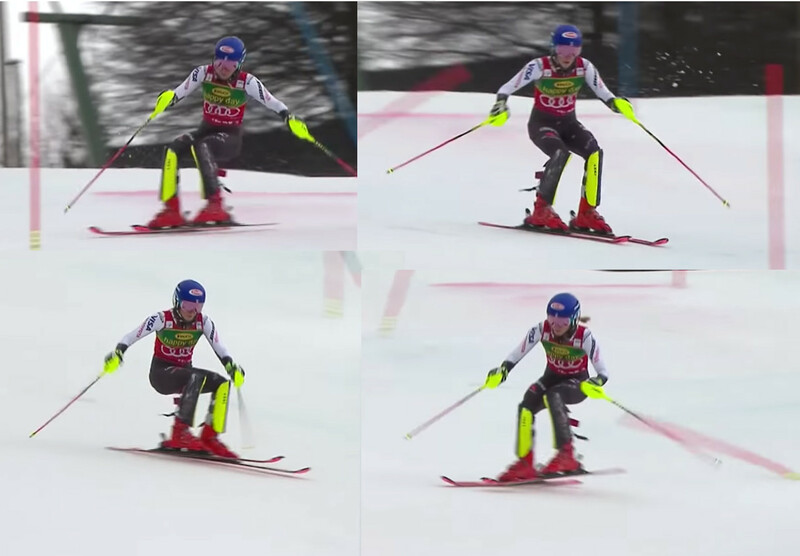 This is likely why many coaches don't even "go there" - because it's not that straight forward to coach this properly and instead they still insist on pushing your hips forward - but we can't push the hips forward while releasing the skis at the same time! Coaching these movements is not a big problem, however, if you understand these movement patterns, how they interact and know what to do! This issue is so misunderstood, some pros on Facebook claim that flexing will not even release the skis!! The reasons the skis turn is because of the centripetal force. When we relax the outside leg and allow it to flex, we remove the centripetal force and the turn simply ends. The COM crosses over the skis and we start the new turn. It really is that simple. That's not all we do in a good release, but it is the basic mechanism! Also, don't forget that there are also several categories and types of releases, which are categorized under release. Nope! I mean yes.... but no ;) ! Read the detailed discussion at low and forward. Viewed 3524 times ( | Print ) this page.